The way you live in a home and the way you sell it are two different things. That’s the premise of Staging*, a concept that teaches you to look at your home through a buyer’s eyes and make adjustments to improve its appeal and value. In any real estate market, Staged homes sell faster or sell for more money–or both. With Home Staging, you’ll learn how to play up your home’s strong points and improve its presentation. By rearranging furniture, trimming overgrown bushes, painting a room, and clearing out the clutter, Home Staging will help you spotlight your property for a fast, profitable sale. 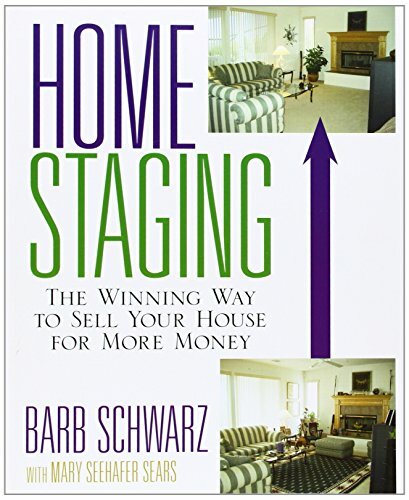 Filled with organizing tips and checklists, plus before-and-Staged photographs that dramatically show how Staging can transform your home inside and out, Home Staging has all the answers you’ll need when looking to increase the sale price of your home. Short sales are made for people who are in danger of falling behind on their mortgage payments. It is a negotiation between the lender and the owner to sell the house for less than it is currently worth. While this can be an emotional process, it is one that can save your checkbook. With today's housing market there are many people in debt that they can not control. Whether it's your fault or your lender's fault, you might just not be able to handle your mortgage anymore. This is a sale that is negotiated with your bank or lender to dispose your home for less than your mortgage is worth to get the debt off of your hands. This benefits you because you will not have to worry about constantly falling behind anymore and it works for the bank because even though they're taking a small loss, they do not have to worry about non-payment. Just because there are a lot of benefits though do not mean that your lender will jump at the opportunity. They do not want to lose money and you may have to be a little aggressive with them. Sometimes they will try to tell you no, but absolutely, they would rather do a short sale than have you foreclose because you can not make the payments. In order to be successful, you'll have to have a willing buyer. Your lender will need proof of hardship in order to approve this. This is important because these are not for people just looking to get a bad investment off of their hands; It is only for people who are unable or in danger of being unable to make their mortgage payments. The first step is to get an agent. An agent will better know how to negotiate a short sale and will be able to work on your behalf. This should not cost you much, as almost everything will be paid by your lender. The next step is to listen to the agent. He or she will give you specifics on how to get the house ready to be sold. He or she may set a low price, but this is to your advantage as you are more likely to get a buyer in a shorter amount of time. Next, you will want to be prepared to move quickly. Begin slimming down your possessions. Doing a short sale is a good excuse to simplify your life a little. After completing these steps, selling should be in process. It can be emotionally draining but extremely, it will save you from going further and further into debt. Before you buy again, make sure to assess what your assets are and what you can afford in order to avoid having to do another one. If you are currently considering selling your home then there are certain things that you can do to ensure that you get that all important sale. Certainly, with the way that the economy is currently selling your home has become more difficult and it is now a buyer's market. Below we offer 10 top tips for selling your home and which should hopefully help you to realize the price you are after. Tip 1 – Before you put your home on the market it is a good idea to do some research beforehand. The quickest and easiest way of doing this is through looking as a few property classifieds in your local newspapers or by going online. This way you can gather information regarding what prices houses similar to yours are selling for current. Tip 2 – It is important that you find yourself a good agent to sell your home for you. Rather than going with the first one you come across spend time doing a little research into each one. Do not be afraid to ask friends, family members and work collections if they can recommend someone to you. The other choice is to sell it privately through the property classifieds, but if you do need to be aware of the right procedures to follow first. Tip 3 – It is important that you first put yourself in the shoes of any potential buyers of your property and make a list of its positive features. Then think of ways that you can enhance these further and so ensure that you get a more positive reaction from those that come to view it. Tip 4 – Getting your house looking great inside is critical but you need to make sure that the house looks great outside as well. Remember the first thing that is going to be making an impression on any prospective buyers of your home is the front area. So make sure that this area is kept clean and tidy at all times. Tip 5 – Although you may like the lived in feel to your home if you want to make it then you need to make sure that you show it to its full potential. If you need to remove as much clutter as you can from your home and put it into storage until the sale has been completed. If there is too much in any room it can make them look much smaller than they really are. Tip 6 – Getting those little jobs done that seem like a waste of time and money to you can actually stop you from getting the price you want when selling your home. So spending a little could end up making you a lot more than you originally expected. No one wants to buy a home where they are going to have to spend money on making it liveable for them especially in today's economic climate. Tip 7 – Although you do not think your home needs it repainting the main rooms in your home in neutral fresh colors is a good idea. This way the prospective buyers will be able to see the rooms more clearly and get a feel for whether their own belongings will fit into them. Tip 8 – It is important that before every viewing you make sure that your house is clean and tidy. This is especially important if you have pets as though you may not be able to smell the odors potential purchases will. Tip 9 – Spend time on staging the rooms to show them off to their full potential. By doing this you can actually get rid of those pieces of furniture that are not required and either sell them or put them into storage. As you do this make sure that the focal point in each room stands out so if you have a wonderful looking fireplace make sure that it is not hidden behind ornaments or sofa. Tip 10 – The final 10 top tips for selling your home that you may find useful to use is to put the coffee machine in prior to any potential buyers arriving. It may seem a silly thing to do but the smell as they come into your home making it more warm and inviting and definitely gives them the feeling of how loved the home has been. 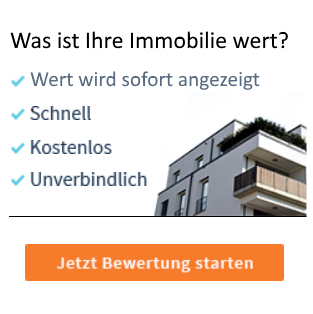 Hopefully you will find that the tips we have provided above extremely useful and should get you on your way to selling your home at the price you want. Now that's a question that does not have a simple answer. In the real estate industry today many experts claim that 10% of those selling real estate for a living make 80% of the money. I believe that ratio may hold true in most selling carers. So what really sets these top producing sales people apart from the crowd? Are salespeople born that way? Can you learn to become a top producing sales person? The answers are yes in both cases. Some people are born sales people and some people have to learn how to sell. In both cases the gifted and those who have to learn still have to learn the industry they are involved in whenever real estate, automobiles, furniture, investments, mortgages etc. Product knowledge is an essential ingredient of any successful sales persons ability to perform above the average. So we can safely say product knowledge is essential to selling anything successfully. Anyone can learn about the product. That just takes effort or work. Now let's discuss gifted versus learned ability. We all know people with personal magnetism who have the type of personality that joins others to them. People just like to be around them. These people do not have to work as hard to attract the business to them. That describes the gift in a nut shell. It's just that simple. This gift will make the start of any sales career easier because they have a larger sphere of influence than the average person just based on their magnetic personality. Here's the million dollar question though "Will this gift sustain their sales career?" The answer is a resounding "NO IT WILL NOT" As a matter of fact it may make them think the job is easier than it actually is and the first slip will prompt them to become disillusioned and leave the business. In this case the gift can become the curse as they've come to expect something for nothing. Even with the gift you still are required to apply the principles of success to any chosen career in sales. Learning how to sell real estate is as simple as that. You have to learn how to do it. That takes time, commitment, study, practice, perseverance, a source of knowledge and most importantly a good solid work ethic. The first thing you need to focus on if you want to successfully sell real estate is yourself. What are your weak points and what are your strengths? Now my experience has taught me that most people do not think they are lazy, lack drive and ambition or have a fear of success. This personal assessment must be brutally honest and look closely at your own self esteem. No success comes with out sacrifice and self improvement. Think about this! There is a reason you are not already successful. (Assuming you are not.) If you are contemplating a career in real estate it must be in hopes of improving your life in some way. Now you may already have been successful in some other career and be confident in your own ability and comfortable with your own self esteem and that is great. 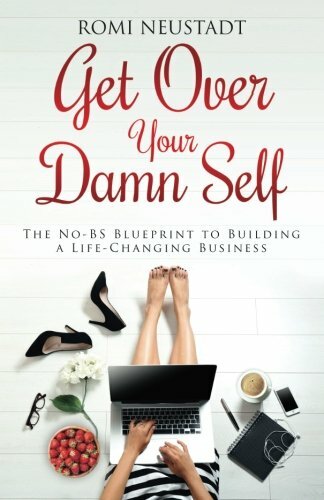 For those that are not the first sale you have to make is to yourself. You have to convince yourself that you deserve to be successful ("What the human mind can believe." The human mind can achieve. ") Success Principle number one. Then you have to commit to learning what you require to learn to become successful selling real estate. ("Success can be learned when combined with belief and commitment") Success principle number two. How long a commitment? How about a lifetime? Knowledge is power in every aspect of life. Spiritual, personal and career. ("Successful people never stop learning") Success principle number three. You see the key to selling real estate successfully is all about you. Only you can extremely determine your own success. The strongest assets of any successful salesperson is their own hearts and minds. If you start your real estate career on the right foundation you will be successful. That foundation is not the company you work for, not the person who trains you, not the location you work in and not some magic formula. That foundation is YOU. Last but not least success principle number four. ("Successful people always think of the other person first") In sales they call that empathy. A successful salesperson never sells their customers anything they do not need or want. Those sales people that do are called something else. Have you heard the term con person before? Sales person or con person both require the same skills with one all encompassing difference. That difference is honesty. Success long term can only be maintained by conducting your business with absolute honesty and integrity. Calling All Short Sellers: Short Sell Now or Forever Hold Your Peace (Property)! Short selling your home usually has a big tax consequence. The dollar amount of debt that your bank forgives used to be taxed as income. The Bush Tax Relief of 2007 waives that tax until the end of next year. If you find yourself upside down, now is the time to sell with no tax consequences. If you wait until after the relief expires, you may have to own your home until it is paid off! For example, you bought a home for $225,000 that is now worth only $150,000 (it could even be worse than that). If you pay on your home for the next 10 years your balance will have only gone down to $146,000. Assuming that your hom doesn’t lose more value, it will take over 10 years to even try and sell it. At that sales price it still wouldn’t cover Realtor expenses. Your government has given you a tax break and it is imperative that you take advantage of it. If you have never missed payment on your home, that is even better. 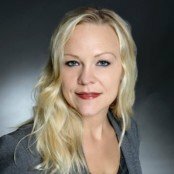 Banks are accepting short sales regardless of payment history. Not only that, some lenders do not consider short selling your previous property while not missing a payment a default. That means you might even qualify to buy a new home next door for $150,000 without the 10 year wait. If you are worried about a deficiency judgment, that can also be avoided too – you just have to know how. Calling all short sellers: Sell now before it is too late! Twice, I’ve had plans which meant I needed to get my house sold quickly and I’ll never do it again without a plan. 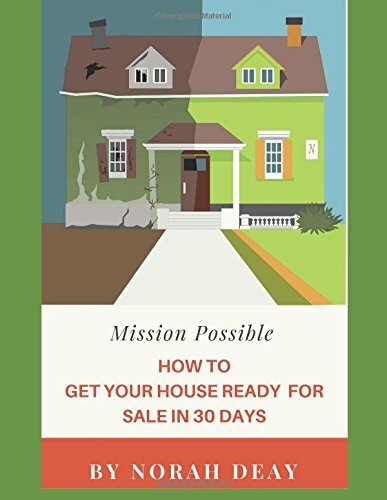 The How to Get Your House Ready to Sell In 30 Days plan. This guide will take you step-by-step through your home over 30 days and you will end up with a house any buyer will want. More importantly, a house that’s sparkling, tidy and in great condition is always going to achieve a better monetary outcome than its tired and grubby neighbor. 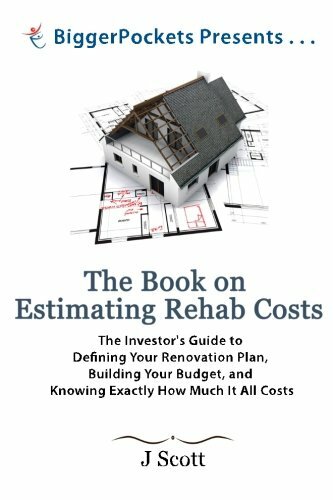 Any money you spend will be recouped in the sale price but unless you have some serious issues with your roof, electrical wiring or your foundations are falling in, this plan is not going to cost much money at all. The only thing you will need in abundance is elbow grease (i.e. strenuous physical exertion). So, block out 30 days in your calendar because you’re going to be entirely focused on getting your old house ready, so you can move on to your new house. 1. Pre-approval- The first thng you should do is make sure your buyer is pre-approved so you do not waste any time with someone who can not afford your home. Have the potential buyer get an unconventional lender pre-approval letter from a financial institution. This letter says the potential buyer has been pre-approved to purchase a home for a certain value. 2. Purchase Agreement- Give the potential buyer your purchase agreement. This must be completed and signed by the buyer and the buyer's spouse, if married. Encourage the buyer to use your purchase agreement if they have their own because your purchase agreement will be in your best interest. Make sure it is in your best interest. 3. Earnest Money Deposit-Schedule an appointment to meet with your potential buyers to review their offer when they have completed it. Ask for 24-48 hours to review the offer. Have them bring an earnest money deposit in certified check form for anywhere from 2% -5% of the purchase price of your home. This money is yours if the buyers back out of the sale as specified in the purchase agreement. Make sure the amount you require will deter buyers from breaking their contract and that you will be adequately compensated if they do. The check can be made out to you or it can be made out to the title company you have chosen to work with. If you choose to have the title company hold it for you they will hold the money in a special account until the deal is closed. 4. Counter Offer- After you have reviewed the offer, if there are terms or conditions that you do not agree with, line it out and write your changes in. You should initial the changes with your spouse and return to the purchaser. The potential buyer should initial changes that make or initial next to your changes if they agree and resign the purchase agreement with the new date. 5. Accept the Offer- You accept the offer by signing the purchase agreement with your spouse. To the buyer: one copy of signed purchase agreement, sellers disclosure statement, lead based paint disclosure. To title company: one copy of all of the above plus the earnest money deposit made out to title company or copy of check made out to you. For yourself: all of the above forms and your earnest money deposit check or copy of check made out to title company. The title company will take over from here. Congratulations!